What the owner says ..." Etal Court is probably one of the best kept secrets in North Shields. It is a purpose-built development which consists of sizeable flats in with a very mixed and diverse set of residence. I have lived here for some 20 years and have thoroughly enjoyed my time here. It is such a peaceful setting but you still have access to all the benefits of the town centre. I am sure whoever buys the property will love it as much as I have in the time I have been here. If you do not like stairs, this might not be the property for you, as this property is positioned on the second floor; not a problem if you're pretty fit." Forming part of this purpose-built development and positioned to the top floor this sizeable two bedroomed flat will make the perfect purchase for a variety of buyers. Etal Court is a quiet and peaceful development tucked away off the main drag of shops and busy roads. The current owner has recently improved the property and it is now presented to an extremely high standard. The general make up of the property comprises of a communal entrance hall with security entry system, private hall. A very generous sized lounge with large double glazed window allowing brilliant natural light, a modern refitted kitchen area with integrated appliances, two double bedrooms and a bathroom which has been updated with a new three-piece suite and attractive tiled walls. The flat also enjoys the benefit of having a sizeable garage in a block which is located to the rear of property. As you would expect from a quality property and it is double glazed throughout and is warmed with gas central heating. The position of the property lends ease of access to an array of shopping facilities in the town centre and of course the North Tyneside Metro service. We are informed by the current owner that the property is blocked managed by Brannen and Partners and there is a monthly service charge of circa £80 per month. Kitchen - 3.17m x 2.44m (10'5" x 8'0") - Window to rear. 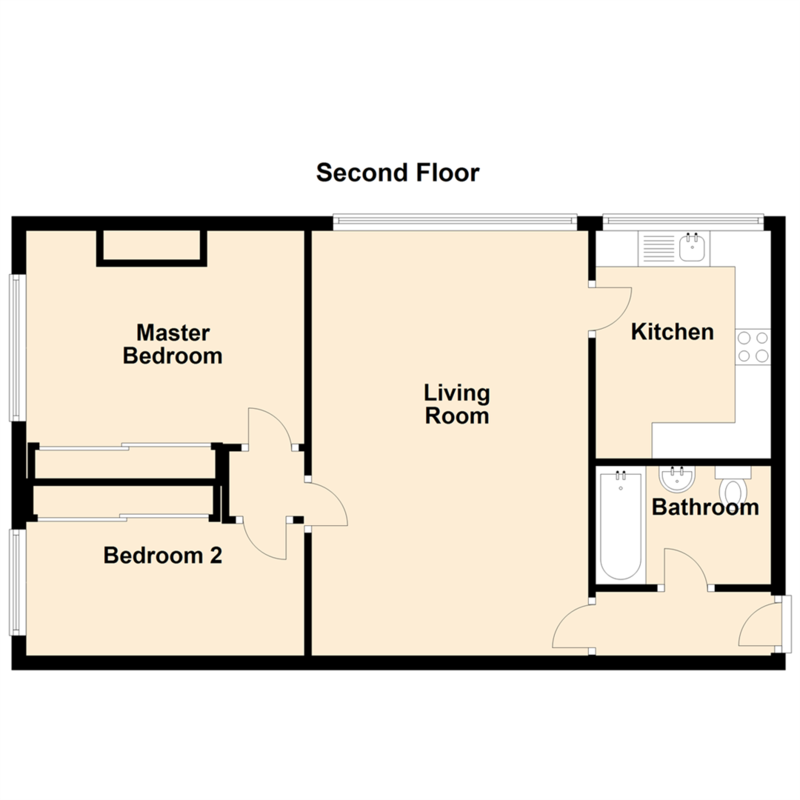 Bedroom 2 - 2.32m x 3.87m (7'7" x 12'8") - Window to side, Storage cupboard, door, sliding door.